Hmmmm, those who are lucky enough to be rocking the OpenVpn settings are already testifying and if you want to enjoy it, go premium. Anyway, have got an alternative to OpenVPN which is SandwishVPN. Note: This particular tweak select sim. So if your sim did not work, try another. don’t break down the server ooo. Love you guys! i'll suggest you disconnect and connect it again. Details: The operation completed successfully. prof i greet you, how can i upgrade to premium? @Anonymous, i have'nt tried that of PDproxy but let me try it and get back to your with better settings. iF it does'nt work, i'll still get back to you. If you are still having problem connecting with this stuff guys, you can as well use chocolateVpn with thesame settings above. You don't need any bis plan, it just connects with 0.0 naira. I tried using this version of chocolate vpn and its working. thanks! @ sir, yomiprof. have u 4get java phone users?? Sir, the pdproxy said handshake failed, wt do I do? Check your PC's time/date and set it to the current date. If you want to upgrade your tweakware VPN for this particular MTN unlimited, contact me on [email protected] ….By the way, I accept recharge card payments. 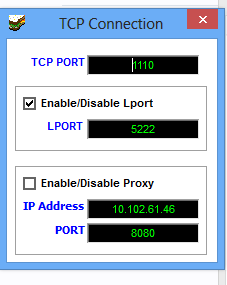 ==>Configure/Set your Modem's access point to "web.gprs.mtnnigeria.net" then connect to the Internet. — On the Main screen, Select any server from the drop-down list and tick protocol "TCP". — Click Settings and fill in your Username and Password (Premium account). — Make sure "use proxy for tcp" is NOT ticked. (untick it if it is). — Tick on "R.Port For Connect" and type 5222 OR 554 on the box beside it. 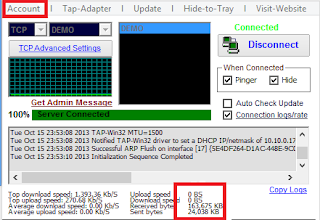 — (If no TAP Driver is installed on your PC): Click Utilities and click on "Install TAP 32 Adapter" and allow it to finish. ==>Connect Tweakware VPN and wait till it successfully connects, then set your Internet applications to use No Proxy. ==>If it takes too long to connect, right-click on the "connecting…" button and click force disconnect then reconnect.